An easement provides an individual with the legal right to a specific and definable use of another’s property. A homeowners association’s (“HOA’s”) governing documents (i.e., “CC&Rs”) often provide numerous easement rights to its members for access and use of the HOA’s common areas and recreational facilities. While those easement rights are reserved for the benefit of the HOA’s members, their guests and tenants residing in the HOA’s development, it is not uncommon for non-residents and general members of the public to utilize HOA common area facilities such as walkways, trails and parks. HOAs may run into issues when trying to exclude non-residents from those areas, and may be reluctant to take more formal measures needed to do so (i.e., the installation of controlled access gates, the use of security personnel, etc.). 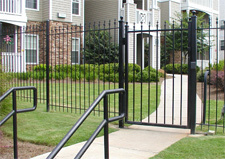 However, if a HOA fails to take such measures and fails to actively prohibit non-residents from accessing the HOA’s common area facilities, the open and consistent use of those facilities by non-residents may ultimately result in the creation of “prescriptive” easement rights for those non-residents. In the recent unpublished decision in Applegate Properties, Inc. v. Coronado Cays Homeowners Association (“Applegate“), the California Court of Appeals held that such prescriptive easement rights had been created over the common area of the Coronado Cays Homeowners Association (“Association”). A prescriptive easement is created when one uses the property of another for five (5) years in a manner that is open, notorious, continuous and adverse (or “hostile”). Warsaw v. Chicago Metallic Ceilings, Inc. (1984) 35 Cal.3d 564, 570. In Applegate, non-resident tenants (the tenants of an adjacent Marina who did not own a home in the Association) (“Marina Tenants”) gained access to the Marina by way of a concrete walkway that ran from a public street through the Association’s common area. Originally, the Association granted access to the Marina Tenants by providing them with keys to the Association’s controlled access gates. When the Marina was sold, the Association changed its position and thereafter declined to provide keys to the Marina Tenants. Several years later, the Association changed the gate locks and informed the new Marina owner that only Association residents and members would be given keys. Notwithstanding this apparent attempt to restrict access, the Marina Tenants were still provided keys through a resident of the Association (the resident admitted at trial that he knew giving keys to the Marina Tenants was forbidden by the Association). The Court first addressed the hostility element of a prescriptive easement and found that the Marina Tenants’ use of the common area concrete walkway was hostile, or, “adverse to the record owner” (the Association) by virtue of the fact that the Association’s governing documents (specifically, its operating rules) prohibited the use of the walkway by non-residents and non-members. The Court then addressed the “open and notorious” element of a prescriptive easement. “Open, visible, and notorious use of the property raises an inference that the owner has either actual or constructive notice of the use.” Hails v. Martz (1946) 28 Cal.2d 775, 778. The trial court in Applegate “viewed the property and noted that the easement area, a paved walkway, was visible as it was the only land access to the Marina.” The Association argued that the Marina Tenants’ use of the easement area was not open and notorious because they had to use keys that were secretly provided to them. The Court responded by stating that the Association’s position was undermined by the fact that it knew Marina Tenants were still being provided with keys. Thus, the use remained “open and notorious” so as to satisfy the required element of a prescriptive easement. Though the holding in Applegate is unpublished and may not be cited or relied upon as legal precedent, it underscores the need for HOAs to ensure that their common areas are not being used by members of the general public. Doing so will not only prevent the possibility of prescriptive easements, but will also prevent the security, maintenance, and property damage problems that may result from public use of private HOA facilities. Blog post authored by TLG attorney Matt Plaxton.